Renewal by Andersen of Northeast PA has many opportunities for career advancement, both inside our warehouse & showroom, as well as out in the field. If you are interested in learning more about becoming part of the Renewal by Andersen of Northeast PA team, please contact us by filling out the form below, or by calling us directly at (610) 355-4055. 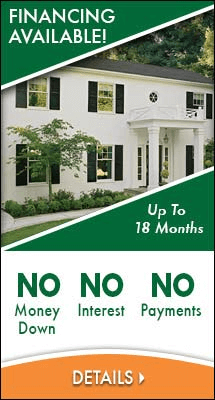 Lead Installer: Renewal by Andersen of Northeast PA strives to provide area homeowners with an excellent experience in replacement window and door purchase and installation. At a time when home improvement companies so often come and go, Renewal by Andersen is a stable and reassuring brand. We’ll be here now and in the future. Lead Window Installers are needed due to high volume and continued growth. These are sub-contractor positions. This opportunity is for YEAR ROUND WORK. This is not a fill-in or part-time role. Our installation crews with one helper earned from $80K to $100K last year. Will be responsible for the installation of our custom manufactured replacement windows and doors within the Northeast PA region. Our homeowners value integrity, quality, and above all expect exceptional service! For more information or to apply, please contact Tim Snyder at (610) 849-2807 or at tsnyder@rbanortheastpa.com. Marketing Representative: Come and join Renewal by Andersen®, America’s premier replacement window and door company! We are seeking highly motivated Marketing Representatives . This is an entry-level position with room for growth! We are looking for people who want to start a career with our company, but this is also a great opportunity for those that are looking for part time flexibility with a great earning potential. It’s a wonderful way to connect with people in the community and make some great money too. Candidates should be highly motivated , friendly and coachable . While a background in marketing or sales is an asset, it is not required. You must be available to work a flexible schedule including evenings and weekends, and are required to work at least 15-20 hours per week. We offer an excellent compensation package including paid training and a competitive base rate, bi-weekly pay via direct deposit, and performance-based bonuses. Other perks include company-branded apparel, opportunities for advancement, and access to our experienced and knowledgeable management team. For more information and to apply please contact Lynann Everett at leverett@rbanortheastpa.com or (610) 849-2805.